Mechanical, electrical and plumbing solutions optimized for comfort and peace of mind. 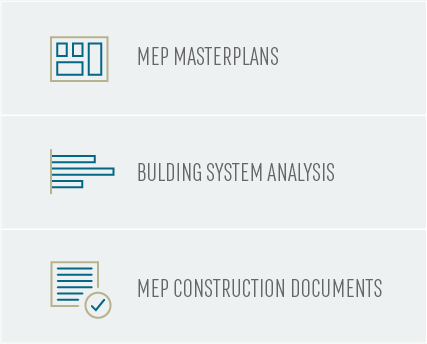 No one should experience the disruption and stress of costly, confusing and complex MEP systems that drain time, energy and money. Simple and reliable systems that are streamlined for efficiency are obtainable. 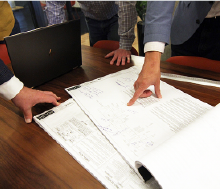 We care about energy efficiency, streamlining costs and increasing comfort. We work with you to diagnose the problems, identify your struggles and establish goals. We propose solutions to simplify and streamline operations and optimize efficiency. We execute the solution and stand by our promise to create building efficiency, comfort and peace of mind.